Looking to enjoy the summer breeze in the air? Check out these outdoor and nightly entertainment events for the week. Are you ready for some outdoor fun this summer? Enjoy a game of baseball, take up kayaking, participate in a sandcastle building contest or enjoy the many festivals and outdoor music events happening on Long Island this week! Check out the details below! Info: Come out to enjoy a game of baseball as the Long Island Ducks go against the Bridgeport Bluefish from its home base. Info: Thinking about taking up kayaking this summer? Get an introduction to kayaking and the “do’s and don’ts” of the sport from kayaker and author Kevin Stiegelmaier. Register in advance for the event. Info: Enjoy a fusion of folk-rock, world beat, jazz and pop with the Dave Matthews Band. It’s performing today and June 26. Info: The band has had hard rock breakthrough singles like “Bodies” and titles like “Feel Like I Do,” “37 Stitches.” Enjoy their performance! Info: There are Las Vegas games, nightly entertainment and food and fun to enjoy! Also, don’t miss the fireworks show. The event continues through Sunday, June 30. Info: Come down and enjoy a night of singing and listening to others sing. The night is emceed by veteran musician Chris Hurley. 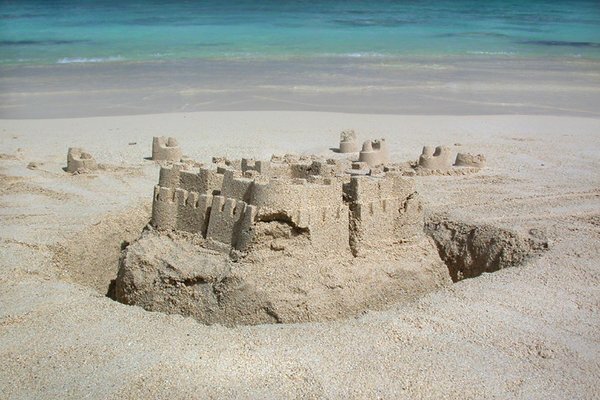 Info: Come on over to take part in creating or viewing creations at this sandcastle contest. Bring your own shovels and buckets to join. Each week prizes are offered awarding the best sculptors and castles in several categories. The event runs each Thursday through August 29. Info: The Huntington Summer Arts Festival is sponsored by Canon, and features a variety of events and performances through July 18. Today, you can enjoy the Huntington Men’s Chorus. 4th of July Fun, Weekend Celebrations, News & More in July 3rd's Newsletter! Welcoming Summer, Warm Weather Fun, News & More in June 21st's Newsletter! Subject: LongIsland.com - Your Name sent you Article details of "Hot Spots: Outdoor Summer Fun, Music and Festivals in the Latest Weekly Watch"